Paramjit Singh took over the command of the strategic corps from Lt Gen Saranjeet Singh at a function in Jammu, said Army. 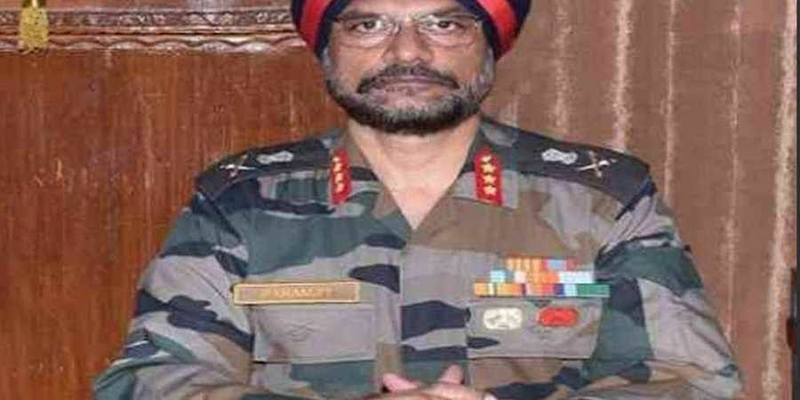 JAMMU: Lt Gen Paramjit Singh, an officer involved in the planning of the 2016 surgical strikes on terror infrastructure in Pakistan-occupied Kashmir (PoK), Friday took over as the general officer commanding of the Army's Nagrota-based XVI Corps. Lt Gen Singh, who has commanded an elite parachute regiment and has vast experience of high-altitude warfare, took over the command of the strategic corps from Lt Gen Saranjeet Singh at a function here, an Army official said. The 57-year-old officer, who was commissioned into the Indian Army on 12 June, 1982, is taking over as corps commander when tensions along the Line of Control (LoC) in Jammu and Kashmir are high, amid efforts by terrorist handlers in PoK to push more militants into the state, he said. Paramjit Singh, a part of the elite Parachute Regiment (Special Forces) and who has commanded a special forces battalion, was part of the planning of the surgical strikes after the attack on an Army brigade in Uri in 2016, the official said. Besides, he has also been part of formulating strategies to dominate the LoC after the surgical strikes, he said. He, as major general, general staff, Northern Command headquarters, played a pivotal role in strategising military response to agitations that erupted in 2016 after Hizbul Mujahideen commander Burhan Wani was neutralised. Singh has a vast experience in high-altitude warfare, including a tenure at the Siachen Glacier. He has spent most of his career conducting counter insurgency operations in Jammu and Kashmir, besides taking part in operations against the LTTE in Sri Lanka, the official said. During his service in the state, he has extensively served in all the three regions of Jammu and Kashmir, and has been in command or on staff assignments during the most challenging times, he said. Paramjit Singh is an alumnus of Indian Military Academy, the Defence Services Staff College, the Army War College and the prestigious National Defence College. He is also an expert in Combat Free Fall operations and has earned first degree Black Belt in martial arts. The officer has the distinction of commanding the elite Siachen Brigade and an infantry division on the LoC in Jammu and Kashmir, the official said. The officer has held various prestigious instructional appointments, which include instructor at the Indian Military Academy, the Indian Army Training Team at Botswana, Africa, and directing staff at the Higher Command Wing at Army War College. He was commandant and chief instructor of the Special Forces Training School and commandant Parachute Regiment Training Centre, he said. Besides, executing operations on the ground, he has been instrumental in planning operations at various headquarters as general staff officer (operations), grade one of the Rashtriya Rifles Force Headquarters, colonel general staff (operations) of an operational division headquarters on the LoC, brigadier general staff (operations) of a corps headquarters and major general, general staff, at command headquarter. These posting were all in Jammu and Kashmir. In the state, he has led successful special forces operations in Siachen Glacier, on the LoC and in the hinterland, the official said. He has the distinction of being involved in planning and leading military operations during critical times like the Hazratbal siege in 1993 and kidnapping of foreign tourists by Al Faraan group in 1995, he said. Paramjit Singh was also involved in humanitarian relief operations in Jammu and Kashmir post the earthquake in 2005, cloudburst in Ladakh in 2010 and devastating floods in the valley in 2014. A highly decorated officer, he during his career span of 36 years has been awarded for both gallantry and distinguished services with Army Commanders Commendation twice, Sena Medal and Ati Vishist Seva Medal.